Editor’s note: Morgan Jensen is a high school senior at Bear Creek High School in Redmond, Washington. Morgan completed his graduating Capstone project as a community affairs intern at Woodland Park Zoo. Next month, he is heading to South Carolina, where he'll begin college at The Citadel. Morgan spots carnivores often in his backyard in east King County, and thinks it's pretty cool. The City of Issaquah and Woodland Park Zoo have something in common: each provide an opportunity to see many great animals up close. 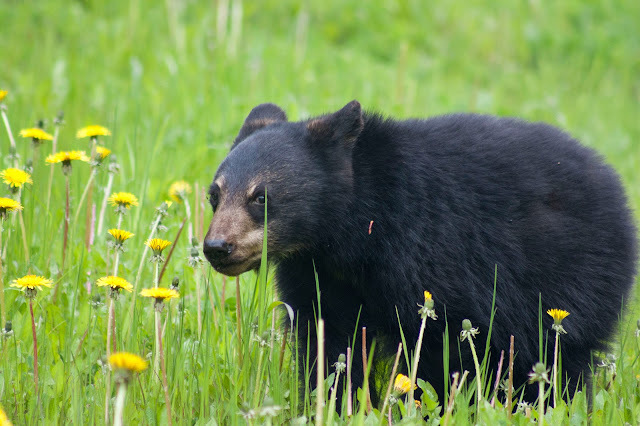 Surrounded on three sides by forested mountains and Lake Sammamish to the north, the Issaquah area is also home to abundant wildlife, including some of Washington’s most charismatic carnivores: black bears, coyotes, bobcats, and cougars. While sharing space with these animals has potential to lead to conflict, residents can take many actions to ensure a peaceful coexistence with carnivores. This is where the zoo steps in. Coexisting with Carnivores, a Woodland Park Zoo and City of Issaquah collaboration, is an exciting program providing Issaquah residents with opportunities to appreciate these local creatures, as well as practices that make coexistence easier—both for people living in the community, and the animals that call Issaquah home. In early May, residents gathered at two community launch events, one at Blakely Hall in the Issaquah Highlands and one at the Rogue Ales Issaquah Brewhouse. Residents shared their feelings about living with carnivores. The majority thought it was ‘pretty cool’ that they live in a place where they may see a bear in their front yard. One resident wrote, “I enjoy seeing them. It is always a good surprise.” Another said, “I feel grateful because I live where I have the opportunity to see beautiful carnivores and other wildlife.” Though not everyone in the community thinks living with these animals is such a positive experience. For example, one resident wrote “I feel scared [to live with carnivores] because of my small dogs”, while another stated, “One thing I sometimes worry about is raccoons killing cats and chickens.” Concern for small pets was the most common worry voiced during the Coexisting with Carnivores events. Particiapnts check out some Pacific Northwest biofacts. As residents learned, a majority of these fears can be avoided with practices such as putting garbage cans out the morning of pick up rather than the night before, and keeping pets inside at night. Those who attended the community event tried out a wildlife-resistant trashcan. The same can has been tested by our very own grizzly bears, who have never been able to open it, despite the delicious salmon smell coming from a fishy treat left inside the can by their keepers (Don’t worry, the bears still received a fish for their participation). Other engagement stations included a carnivore tracking activity complete with kinetic sand, carnivore pelts and skulls, a camera trap matching activity, information from waste management company Recology, and an interactive carnivore map. University of Washington Master’s candidate and carnivore expert, Michael Havrda, joined with camera trap photos and data about local carnivores. Coexisting with Carnivores will continue with future events, including talks by some of Washington’s best and brightest carnivore experts. The zoo will also partner with the City of Issaquah Parks Department to help volunteers conduct camera trapping in the region, to learn more about the carnivores that live in and near Issaquah. Residents will also have the opportunity to join community groups whose goal is to create and implement solutions to help prevent carnivore conflicts in their neighborhoods. Guests take a look at some of the camera trap photos collected from nearby locations. Programs like Coexisting with Carnivores allow community members to determine which are the most important problems that face their community, and create solutions that meet a community’s specific needs. As this program develops, Woodland Park Zoo and the City of Issaquah hope that residents will feel empowered to address some of the most difficult issues that come with living alongside these local critters. Celebrating birth of red panda twins!